In 1981, the art collection of Katherine Coryton White (1929-1980) came to the Seattle Art Museum. Along with her important gifts of African, Native American, Oceanic, Meso and South American art, her book collection was given to what is now the Dorothy Stimson Bullitt Library at SAM Downtown. The original idea was to go book by book through the collection and see if we could find a bookplate or handwritten inscription linking it to White. 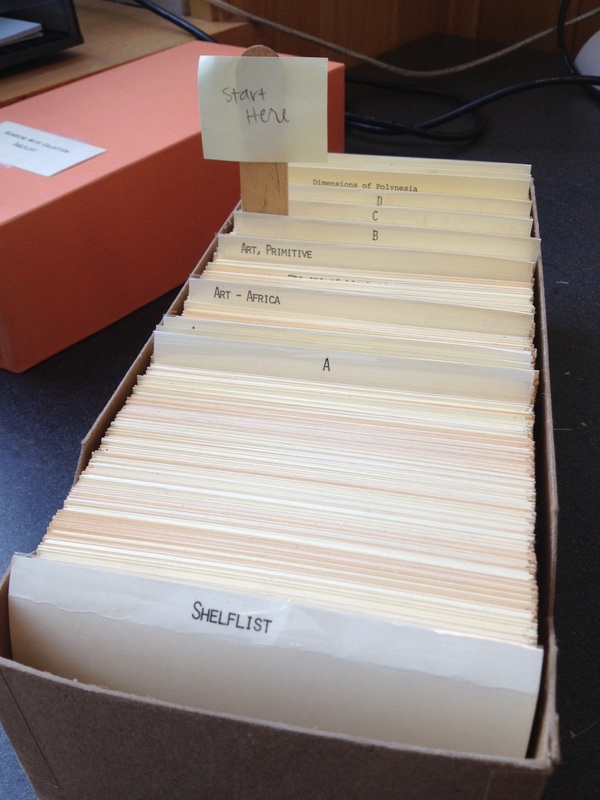 But something wonderful happened: a box of catalogue cards was discovered in an area of the library typically used for storage. It contained a complete list of the books from White’s library. 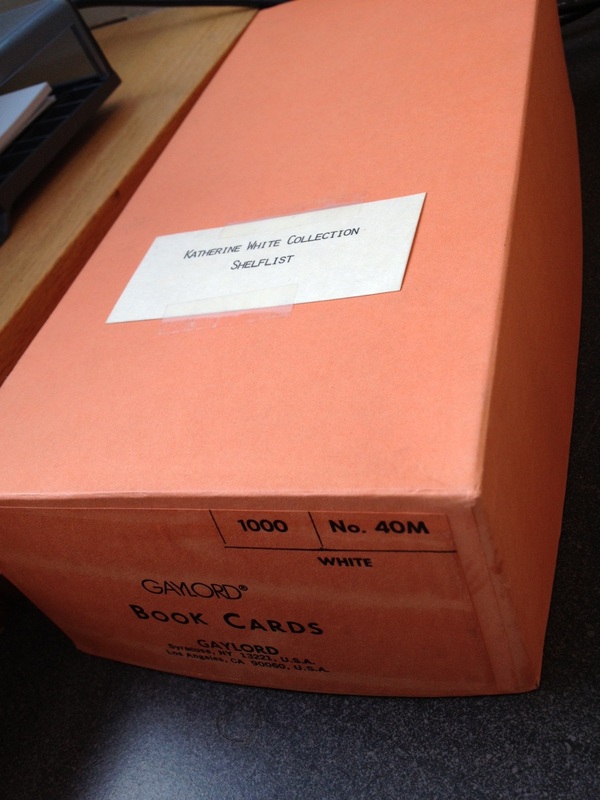 The incredible find: a box of cards listing White’s donated book collection. 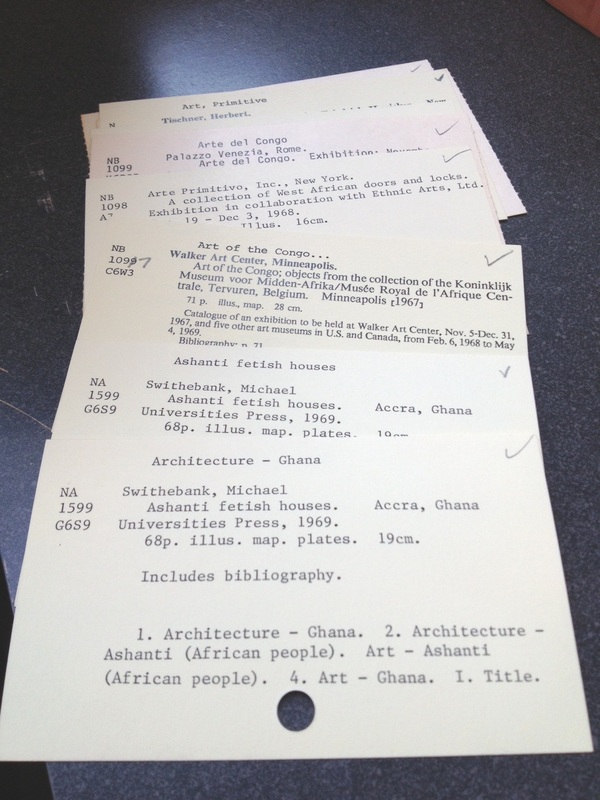 Library volunteers identified books in the collection and noted the former owner in the library catalogue (OPAC). Such cards would have been used in the card catalogue (the hole at the bottom allowed the cards to slide along a track) which preceded our online catalogue. In this case, we were very happy to have such relics retained. The Ancient Art of Veracruz, published by the Ethnic Arts Council of Los Angeles in 1971 is one of only four copies (the other three are in two California libraries and the British Museum). New Guinea Art in the Collection of the Museum of Primitive Art, published by the museum in 1968 is one of only three copies (the others owned by a Canadian and a German library). 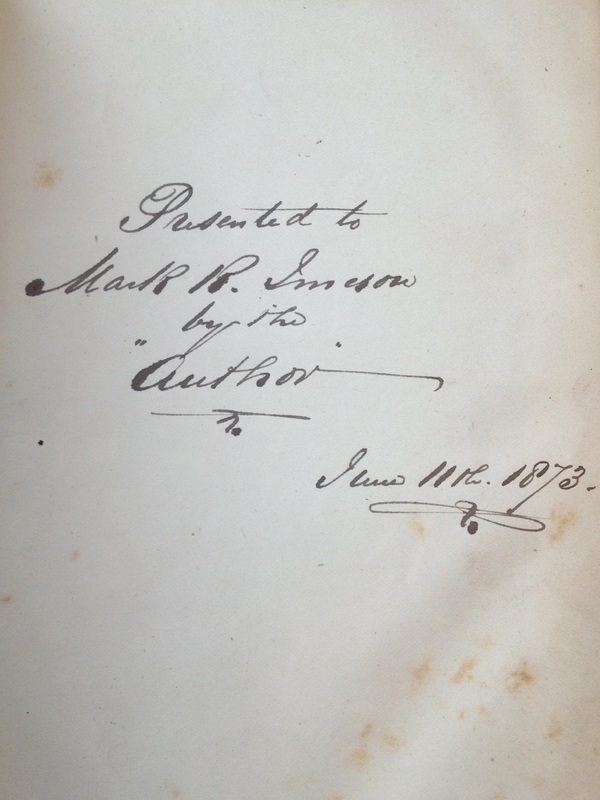 The Journal of a Residence in Ashantee was published in 1824 and is the oldest work from her collection. 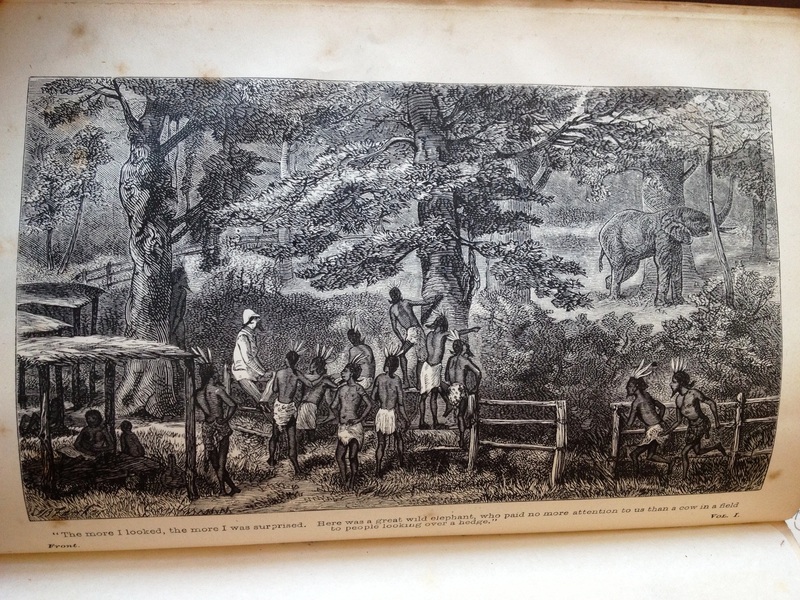 The African Sketch-Book, a well-regarded two-volume set, was published in 1873, and is one of only 87 publically available copies in the world, is quite beautiful and is inscribed by the author, William Winwood Reade (1838-1875). 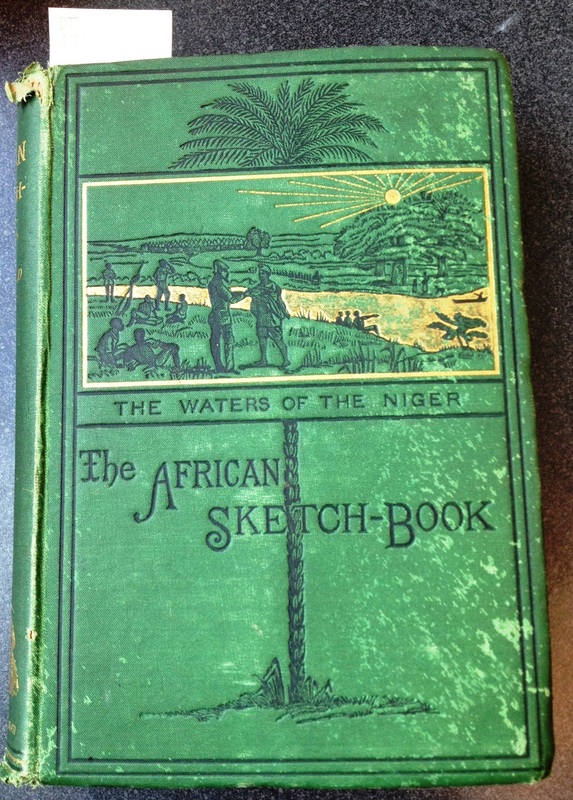 Cover of The African Sketch-Book, 1873. 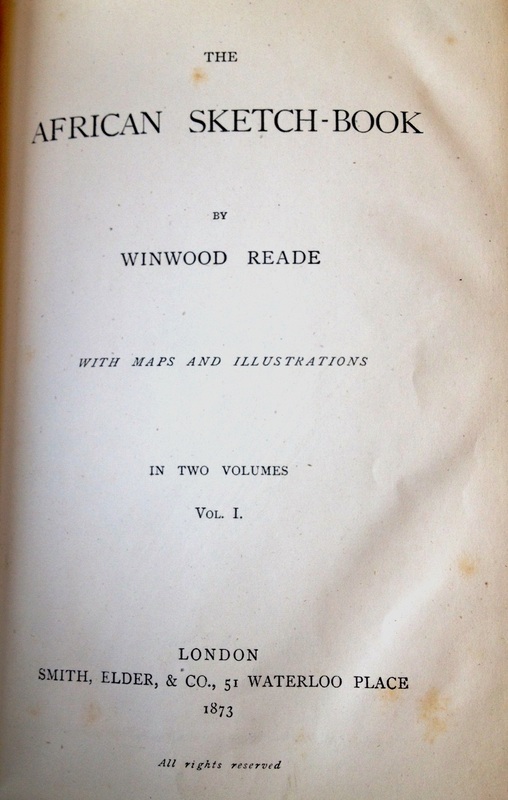 Inscription by the author, William Winwood Reade in 1873. Title page to the first volume of The African Sketch-Book. To see a full list of her books given to the Seattle Art Museum, visit our OPAC and under Lists, choose Special Lists, then The Katherine White Library. Pamela McClusky. Katherine White: Her Epic Quest to Collect a Continent (video) Seattle Art Museum, 2013. 60 minutes. VIDEO N 7398 M33 W3 2013. Available for viewing in the Bullitt Library. _____. “Taming Reality: Katherine White and the Seattle Art Museum” in Kathleen Bickford Berzock and Christa Clarke, eds. Representing Africa in American Art Museums: A Century of Collecting and Display. University of Washington Press, 2011. N 7380.5 R47. Available for consultation in the Bullitt Library. Come see these and other works from the Dorothy Stimson Bullitt’s collections on the 5th floor, Seattle Art Museum (Venturi Building). Go to our website for hours and information: http://www.seattleartmuseum.org/Learn/Library/. 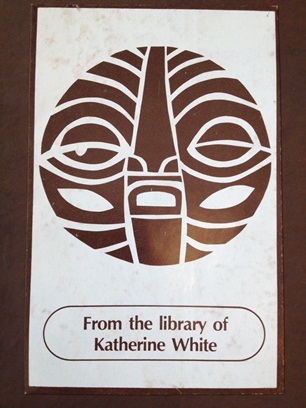 Top photo: Katherine White’s personal bookplate.